Does Bold Joe sound familiar? It should! We introduced Bold Joe with our Million Bag March earlier this year. Well, he’s back! 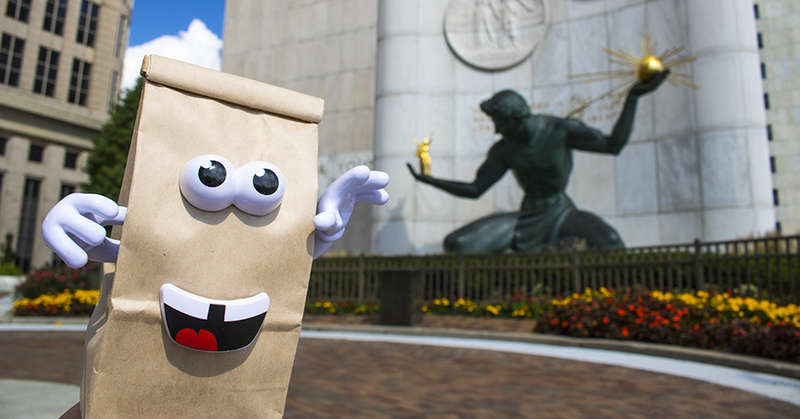 As Detroit Bold Coffee Company’s mascot, Bold Joe will be outside of Detroit sporting events, concerts and other high profile events. He’ll be at well-known land marks and on the M1-Rail. Bold Joe will be sitting with familiar faces and drinking coffee with fellow Detroiters. Bold Joe will visit businesses with Boldinators. Bold Joe will visit any household or business that supports Detroit Bold. Bold Joe will work to get things done, a catalyst for environmental and social change in Detroit and beyond! Follow Detroit Bold Coffee Co. on social networks to stay up to date with Bold Joe appearances. We’ll be launching a new campaign with Bold Joe, “#WheresBoldJoe”. Detroit Bold fans that can find Bold Joe and respond to social media posts could win some great Detroit Bold prizes. It could be a Detroit Bold hat, a bag of coffee, or even a pass to the Assembly Line Concert Opening Night! Stay tuned to Detroit Bold’s social networks for more fun with the newest member of the team, Bold Joe! SUBSCRIBE TO OUR COFFEE CLUB! As a Coffee Club subscriber you’ll receive exclusive discounts and promotions and stay up to date with our upcoming BOLD events! Copyright © 2019 Detroit Bold Coffee Co.